The King Edison pendant lamp combines the pure simplicity of an Edison light bulb with the romance and glamour of a Kings chandelier. 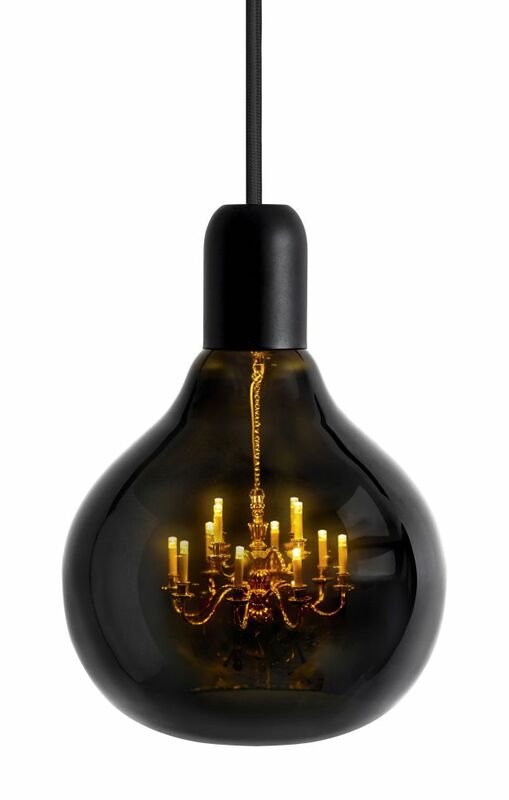 It consists of a miniature brass chandelier inside a hand blown clear glass shade. Dimensions: 150mm diameter x 210mm height. For use with a 12 volt power supply, (transformer included). Supplied with a 2 metre braided cable and ceiling rose (longer cable available on request).